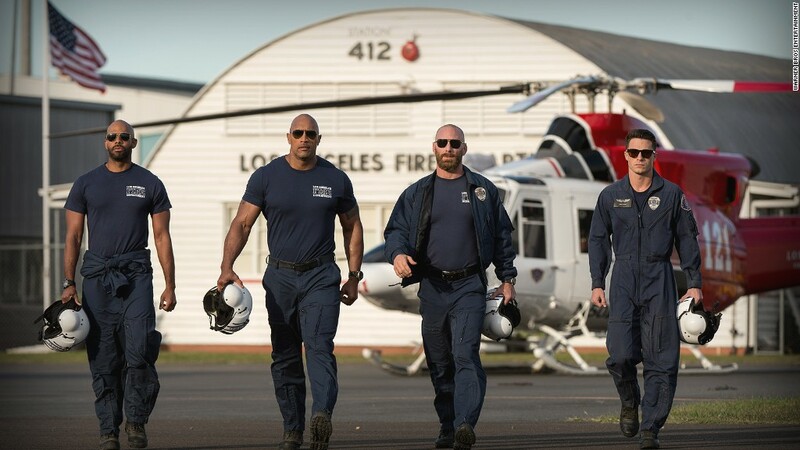 "San Andreas" registered a big number on the box office Richter scale this weekend. The disaster film starring Dwayne "The Rock" Johnson took in an estimated $53.2 million in its U.S. debut. This total gives "San Andreas" the top spot for the weekend and is roughly $13 million more than what most box office analysts were expecting. "After the weak debut of 'Tomorrowland' last weekend, the market was definitely wide open for a breakout," said Phil Contrino, chief box office analyst at BoxOffice.com. For Johnson, "San Andreas" is the biggest opening of the actor's career for a film in which he played the leading role. With films grossing over $5 billion worldwide, Johnson has proven to be a major draw at the box office. However, a good chunk of that number belongs to the "Fast and the Furious" series where Johnson played a supporting part. The solid opening of "San Andreas" shows that the actor can add a boost to already established franchises like "Furious" and can also stand on his own as one of the most bankable stars in Hollywood. "[Johnson] is respected and admired by all audiences because he brings not only a pure physical power to his roles, but also charm & humor and that gives him an irresistible appeal to people around the world," said Paul Dergarabedian, a box office analyst for Rentrak (RENT). The film -- which is distributed by Warner Bros, a company owned by Time Warner (TWX) like CNN -- was poorly reviewed by critics, but was a hit with movie-goers who gave it a CinemaScore of "A-." Away from "Andreas," the box office did crumble a bit with the overall weekend being down roughly 20% compared to the same weekend last year. But with the summer schedule stacked with potential upcoming blockbusters like Universal's "Jurassic World" and Pixar's "Inside Out," the box office should get back on track soon enough.